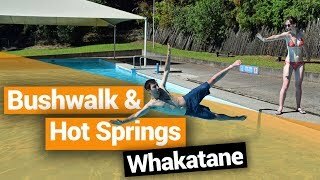 Whakatane walks you can’t miss! 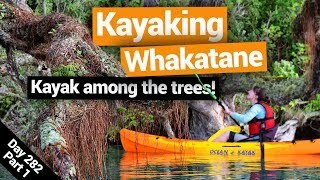 Whakatane certainly is a city you can enjoy on foot! Not only does it have a number of walks in the surrounding area, but many of the city walks are joined together on the Nga Tapuwae o Toi Walkways, otherwise known as Toi’s Track. Named after a Maori chief, Toi’s Track is 16km encompassing the best of the Whakatane coastline, headlands, historic pa sites and bush walks. the Kohi Point Walkway, Otarawairere Bay walk, Fairbrother Loop, Burma Road and Bird Walk can all be linked on a full-day walk. Otherwise, enjoy them individually as described in the list of walks in Whakatane below! 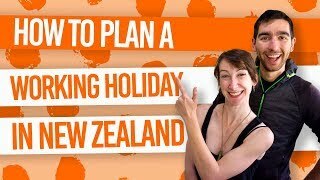 In between hitting the walking trails, make sure you try some of the 11 Amazing Things to Do in Whakatane and save some cents by staying in one of the 5 Best Backpacker Hostels in Whakatane. Delve into some of the last remaining pohutukawa forest on the coast and walk through kiwi habitat on the Fairbrother Loop Walk. 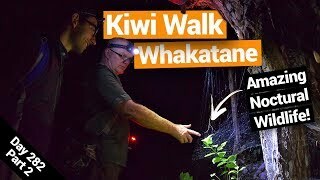 This 1-hour easy loop track is in the Ohope Scenic Reserve is fantastic to walk both day and night, with reflective markers on interpretation signs telling you more about the nocturnal wildlife here. The forest is home to around 300 kiwi birds, plus lots of eels, morepork, glowworms, weta and spiders best seen at night. Location: Along Ohope Road at the Ohope end, start from the carved archway (waharoa). Just outside of Whakatane on the way to Awakeri, the White Pine Bush Reserve is some of the last remaining kahikatea (white pine) forest that remains in the area. The short walk through the forest provides many opportunities to spot birds like tui, fantails, bellbirds, silvereyes and grey warblers. Location: White Pine Bush Road just off State Highway 2 near Awakeri. Accessible from the city centre, the Warren Cole Walkway is a sealed walkway and cycleway following the Whakatane River. The walk runs between the Whakatane River Bridge and the Whakatane Heads on a journey past sculptures, parks, wharves and more. This short walk provides access to one side of the Kohi Point Walkway (see below), as well as giving you the opportunity to experience the beauty of Otarawairere Bay. This secluded cove is decorated with pohutukawa trees, shell and sand and it’s unlikely that they’ll be another person in sight. Be aware that the beach at Otarawairere Bay can sometimes be inaccessible at high tide. Location: West End or Otarawairere Road. The best way to get between Whakatane and Ohope has to be this scenic walk along the coast. There are a few climbs but the rewarding cliff top views make it all the more worth it. There’s the opportunity to take a short side track tot he Kapu-te-rangi pa site (old Maori fortified village site) where more brilliant views await on this historic location. 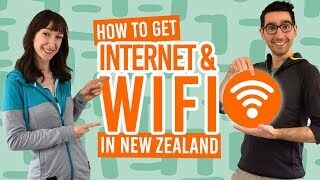 Location: Seaview Road or Canning Place on the Whakatane side. Alternatively, start at the end of the Otarawairere Bay walk (see above). In the Mokorua Bush Scenic Reserve, The Bird Walk is an aptly named walk taking you through native bush rick in bird life. Keep an eye out for tui, bellbirds, fantails and kereru. The forest here has all regenerated after being almost entirely cleared for farming in the 1910-20s. Location: End of White Horse Drive. You can return to White Horse Drive via Gorge Road at the other end of the walk. Follow a wide gravel track through the Mokorua Bush Scenic Reserve and on boardwalks over wetland areas. The Burma Road can also by cycling, which you can learn more about on 6 Must-Do Bike Trails in Whakatane. Follow the “Toi” signs to stick to the main trail. Location: Burma Road or Gorge Road. This restored wetland is packed with walking and mountain bike tracks to enjoy, as well as an arboretum and a lake. There are much native flora and fauna to marvel at on these walks suitable for any fitness level. Read more about the mountain bike tracks here in Mountain Biking in Whakatane. Location: Braemar Road, off State Highway 30, Onepu. This walk on the Latham property starts with a gentle climb over farmland to native forest. Enjoy amazing views of the coast and the Rangitaki Plains as you reach the top and the end of the main track. Either return the same way or take the route trail down towards the Awakeri Hot Springs – check out more awesome hot springs in New Zealand here. Location: State Highway 30, about 17km south of Whakatane. It’s bes to start from the car park at the Latham Property or the Awakeri Hot Springs. History and amazing views combine on this stunning walk Ohope. The distinct terraces can be seen carved into the hill of this once fortified Maori village. The pa site was occupied for around 200 years thanks to its strategic position overlooking the Ohiwa Harbour. Learn all about its fascinating history at the interpretation panels at the beginning of the walk.